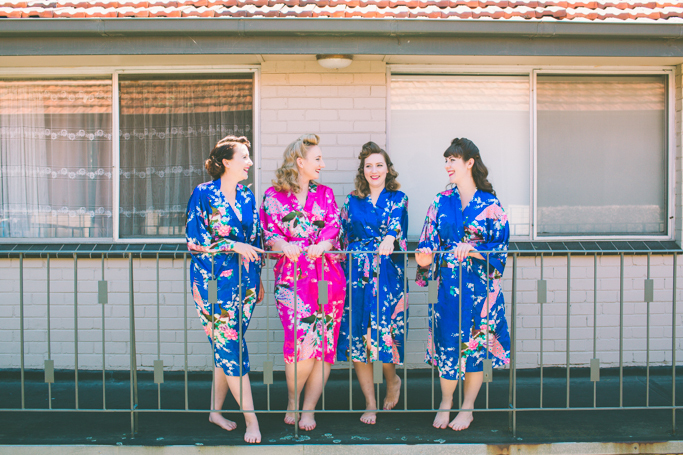 I love a good old fashioned vintage rockabilly wedding, I also love to get creative with my wedding photography, and this wedding allowed me to do just that! I think these two take the cake for organising such a super funky + groovy day. From the get go everything was just so much fun. I met Jen at her cute little home in Northcote, Melbourne where she and her best friends were being snazzed up by the super talented Dames of Distinction, I was in retro heaven. Their ceremony was filled with beautiful tradition being held at All Saints Parish, Jen even rocked up 15mins late in a yellow cab….sweet! To top it all off, their laid back reception was held at the Coburg Bowl Club, where barefoot bowls was on the agenda, funky music and food, oh the yummy food. These two can dance! We were all treated to a grand affair and I was so happy I was there.